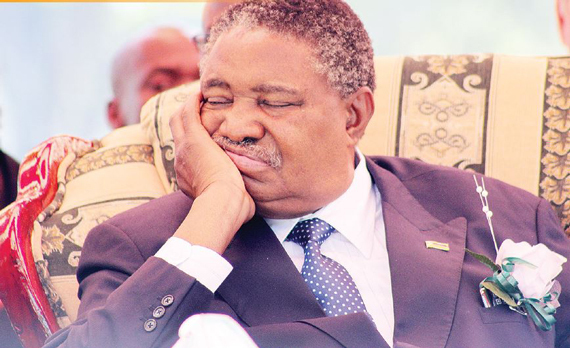 Former Vice President Phelekezela Mphoko and his son Siqokoqela Mphoko have exited from Nanavac Investments T/A Choppies Supermarkets Zimbabwe and they have declared that they no longer have interests in the company. This was revealed by Professor Welshman Ncube who has been representing the Mphokos in a legal wrangle with their former partners in Botswana. In a joint statement released on Thursday by Ncube and the lawyer for Choppies Enterprise Munyaradzi Nzarayapenga they said, "We have been instructed by our clients Choppies Entreprise, Hon. Phelekezela Mphoko and Mr. Siqokoqela Mphoko to advise the public and all staff of Nanavac Investments that the shareholders and directors have amicably resolved and settled all issues, matters, cases and disputes between them and amongst themselves so that there are no longer any outstanding between our respective clients, who further advise that the Mphokos have dis-invested from Nanavac Investments T/A as Choppies Supermarkets Zimbabwe and have no further interests in the company and its business." The Mphoko family have been involved in a long fight with the CEO of Choppies Enterprises Ramachandran Ottapathu who was alleging that that the Mphoko Family own only 7% of the shareholding out of 51% and the rest of the 44% was given to them so a fulfill the indigenisation laws of the country. The fight became messy when Mphoko's son Siqokoqela and his wife Nomagugu were dragged to court on charges of interfering with the operations of Choppies Distribution Centre and Choppies Enterprises. This followed accusations that they swindled the businesses of a combined $80 000.